Berkeley famously said that "to be is to be perceived." Quine's maxim was "to be is to be the value of a variable." 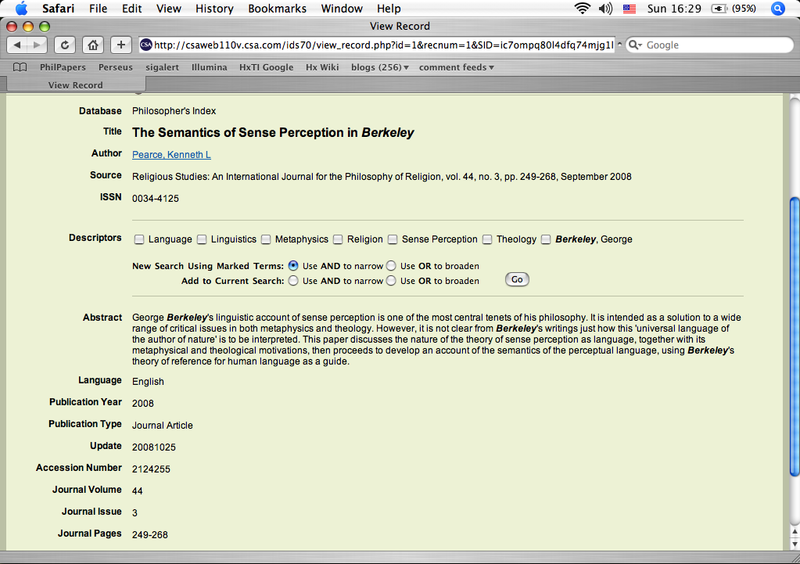 We, however, know the truth: to be is to be a search result in Philosophers' Index. I just showed up. It seems to take rather a long time for them to get wind of new publications. PhilPapers is already better in this respect if only it were more complete.